Start National Doughnut Day off right by enjoying the sweet, fluffy pastry for breakfast—for free. In honor of the holiday, participating Dunkin’ Donuts locations are giving away a free classic doughnut when you buy a beverage all day on June 2 (but get there early—the promotion ends when the doughnuts are gone!). And what’s a celebration without cake? 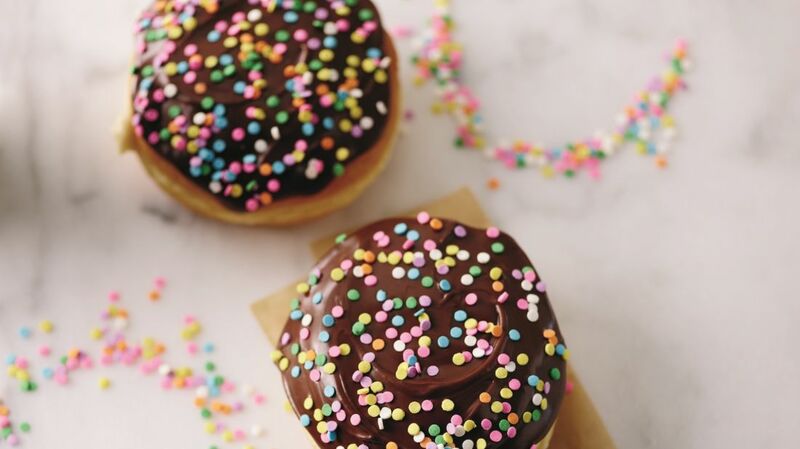 On Friday, Dunkin’ Donuts is also debuting its new Vanilla Cake Batter Donut: a classic doughnut stuffed with vanilla cake-flavored cream and topped with chocolate icing and sprinkles. We'll just ride the sugar rush straight into the weekend.